My ten month old son was getting a new tooth, and while it wasn’t causing him pain, his latch must have felt different. One day, he sort of chomped/grazed me while he was feeding. I jumped and let out a ‘YELP!‘ On the surface, he showed no obvious response to my reaction. But, when we started having extreme difficulties feeding for the next few days, I knew that he had been upset by my reaction to his bite. It’s very common for babies and toddlers to ‘strike‘. Most common are breastfeeding ‘strikes‘, or if you’re doing elimination communication, it could be a potty ‘strike‘. 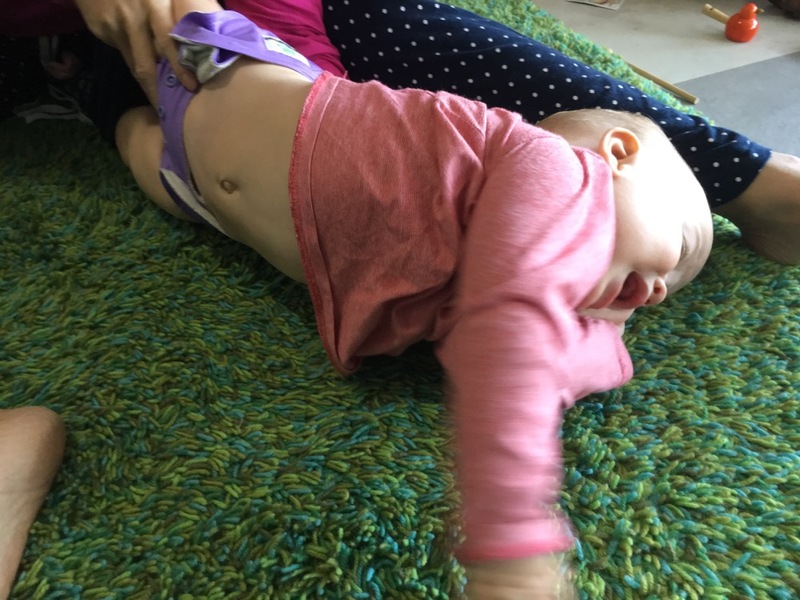 (If you haven’t heard of elimination communication, it’s taking your baby to the potty, I wrote a blog post about it here.) Other ‘strikes‘ could be sitting still for a nappy change, getting in the carseat, getting dressed, brushing teeth, etc. I lumped all the ‘strikes‘ together, because while the reason for the ‘strike‘ may be different, the remedies for the ‘strikes‘ are generally the same! Sometimes the ‘strike‘ seems to resolve itself, while other times, the ‘strike‘ seems to go on forever. Posted in Uncategorized and tagged baby protests babywearing, baby won't go in carseat, breastfeeding strikes, carseat strike, potty strikes. Bookmark the permalink.